A native of Taiwan, pianist Pei-Chi Hong has been the sought-after collaborative pianist in USA, Taiwan, Japan, Malaysia and Singapore. She has collaborated with world renowned artists such as James Buswell, James Dunham, Ushioda Masuko, and Chantal Juillet. In 2001, Ms. Hong was invited to perform with the principal artists of Woodwind Quintet of Vienna Philharmonic Orchestra at the Kitara Hall in Sapporo, as well as collaborate with numerous principal artists from Philadelphia, Toronto, and Berlin Philharmonic Orchestras in chamber recitals. In 2005, she gave collaborative piano master classes, and served as a jury member at the FestaCazone (Artsong Festival) in Singapore. She made frequent appearances as a guest pianist at the International Clarinet Festival in Taiwan. In 2009, she was awarded with a special grant by Taiwan Government to attend the Music Teachers National Association Conference in Atlanta USA and give series of four-hand piano concerts in USA. In 2016, she was invited to play with the emerging violinst Paul Huang at the jury recital of the First Professor Shu Te Lee Violin Elite Competition in Taiwan. Last year, she was again invited to tour in USA, playing recitals with faculty members from the University of Oklahoma, the Trinity University and the Hartt School of Music. Besides her distinctive career in performing and teaching, Ms. Hong also devotes herself to academic researches in collaborative piano arts. She has been organizing and hosting annual International Collaborative Piano Symposiums at Taiwan National University of the Arts since 2010. Ms. Hong was awarded full scholarship from New England Conservatory of Music in USA where she obtained her Doctoral degree in Collaborative Piano and also bachelor’s and master’s degrees with Academic Honor and Distinction in Performance. Her principal teachers include Irma Vallecillo, Margo Garrett and Martin Katz. 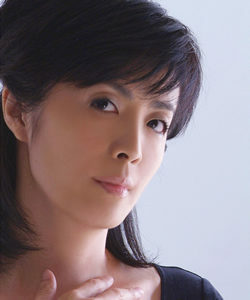 In 2003, she assisted in establishing the Graduate Institute of Collaborative Piano of Tainan National University of the Arts in Taiwan, the very first Institute specializing in collaborative piano performing and arts. She is currently a full-time faculty member and serves as the Director of the Institute.